Soundset Africa Creative provides full corporate video production services including concept development, production, and post production. 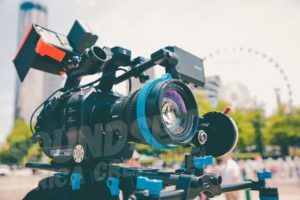 For those who need an all-in-one script-to-screen solution, Film Creations can write, produce and edit a finished product that fits your video objectives. Whether you are shooting on location or at our studio, our state-of-the-art facilities for video production in Parklands have everything you need from pre-production to final edits. We offer high quality, attention-getting results that are designed to meet and achieve the specific goals of each client.